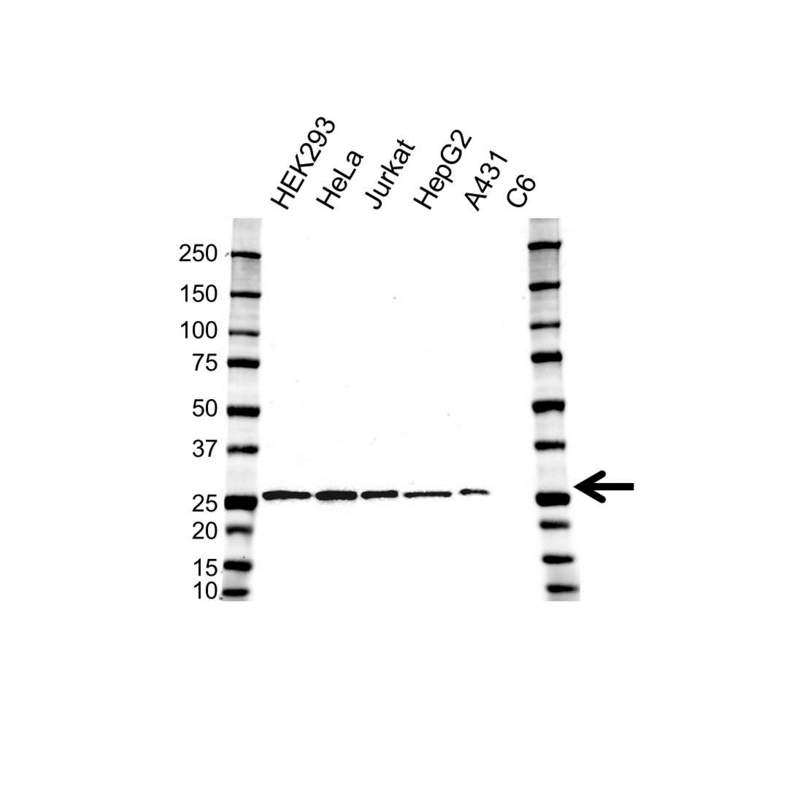 Mouse anti human ERAB antibody recognizes 3-hydroxyacyl-CoA dehydrogenase type-2, also known as HSD17B10, AB-binding alcohol dehydrogenase, or short chain type dehydrogenase/reductase XH98G2. This antibody has been extensively validated for western blotting using whole cell lysates. Mouse anti Human ERAB antibody recognizes ERAB, also known as 3-hydroxyacyl-CoA dehydrogenase type-2, HSD17B10, 3-hydroxy-2-methylbutyryl-CoA dehydrogenase, AB-binding alcohol dehydrogenase, amyloid-beta peptide binding alcohol dehydrogenase, short chain dehydrogenase/reductase family 5C, member 1 and short chain type dehydrogenase/reductase XH98G2. Encoded by the ERAB / HSD17B10 gene, 3-hydroxyacyl-CoA dehydrogenase type-2 is a member of the short-chain dehydrogenase/reductase superfamily. 3-hydroxyacyl-CoA dehydrogenase type-2 is mitochondrial protein that catalyzes the oxidation of a wide variety of fatty acids, alcohols, and steroids and has been implicated in the development of Alzheimer's disease. Mutations in the gene are the cause of 2-methyl-3-hydroxybutyryl-CoA dehydrogenase deficiency (MHBD). Several alternatively spliced transcript variants have been identified, but the full-length nature of only two transcript variants has been determined (provided by RefSeq, Jul 2008). Mouse anti Human ERAB antibody detects a band of 27 kDa. The antibody has been extensively validated for western blotting using whole cell lysates.